Reliable, smooth-shifting cassette from SRAM at a great price. Fits Shimano and Shimano-compatible 9 speed cassette bodies. Can be used for either a MTB or Road 9-spd drivetrain. I bought this cassette as a replacement for my Ultegra cassette. I was told that it would shift better, and last longer. It did. I'm sold. I only use Sram cassettes and chains now on my beloved Ultegra 9-speed bikes. this is a great shifting cassette. Super fast and almost unnoticeable gear changes. Great part for the $$$$. Works perfectly on my gravel bike with a triple crank-set. Cheap, light, and works well. Nice tight spacing. 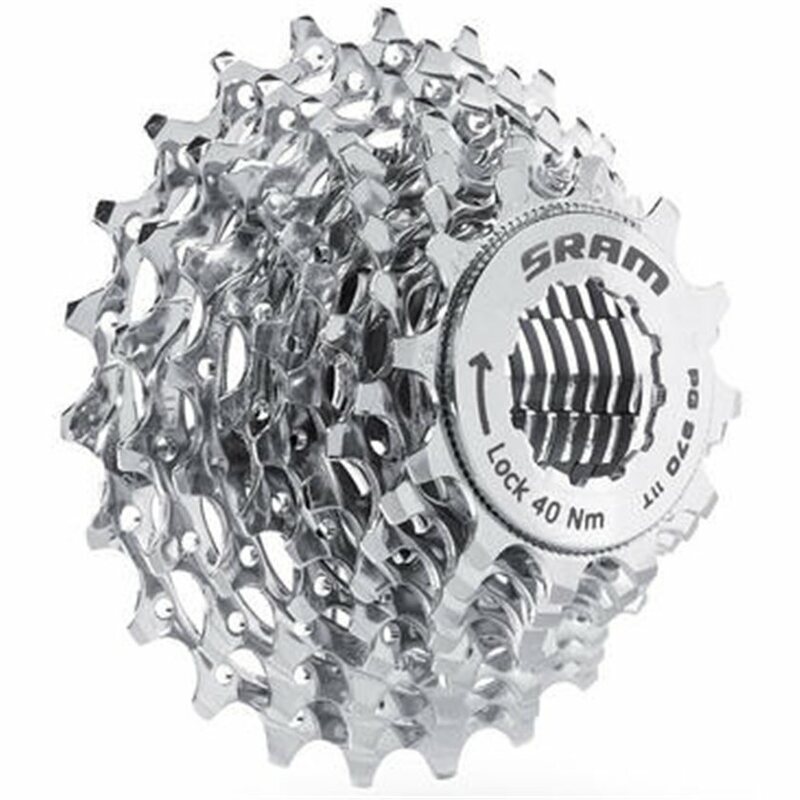 Replaced the worn cassette on my road bike with one of these SRAM units. Added a new chain and now the shifting is smooth and quiet. I bought to use with a 9-speed ultegra setup (mix of 6500 and newer). It works well, shifts cleanly. My only issue is the step down to the 23 tooth cog is a bit bigger than between the others on the 12-23 variant. Good to be able to have an easier gear, not as smooth stepping to that one as among the other eight.